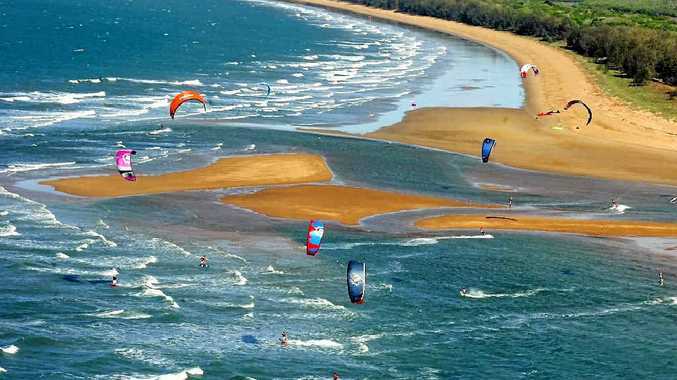 Kite surfing at Agnes Water. IF the weary traveller's bible is anything to go by, Gladstone has a long way to go to become a tourist hub. "On first impression, the industrial town of Gladstone, with its busy port, power station and alumina refineries, is rather uninspiring," Lonely Planet's entry on Gladstone begins. "Sometimes first impressions are right." Despite the bleak assessment, there are signs that the stars are aligning for tourism to become one of the key aspects of Gladstone's future. In fact, local MP Ken O'Dowd has singled out tourism as a key growth opportunity for Gladstone which will keep Gladstonites fed after the construction boom. "We've got to keep our other industries strong for when the boom ends," Mr O'Dowd said. "Trying to compete with Chinese industry in steel and aluminium when they're lowering their timeframes and cost of production all the time….I really don't think we can compete longer-term." However, tempering his hope is a strain of cynicism. "Tourism has to get better, in my opinion, because it can't get any worse really," Mr O'Dowd said. Gauging exactly how well (or how badly) Gladstone is doing on the tourism front is difficult, given it has been lumped into the Southern Great Barrier Reef area along with Bundaberg, Capricorn and central Queensland. 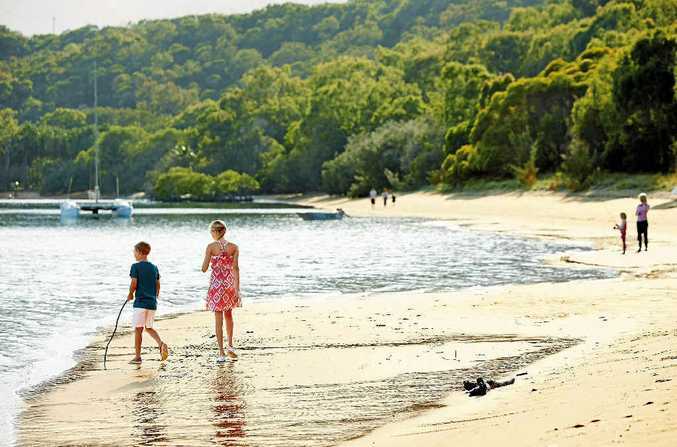 While the reef area recorded an 11.7% dip in domestic visitors for the year to September 2013 with a 4% decline in international visitors, according to Queensland government figures, chief tourism body Gladstone Area Promotion and Development Ltd said times were brighter than they seemed. "We're doing quite well at the moment and that's really being driven by the grey nomad caravanning segment and industrial tours," GAPDL's senior project officer Kim Williams said. Camping at The Oaks overlooking Curtis Island. Helping on the tourism front has been a cooling of prices in accommodation and amenities, which were inflated due to the LNG construction cycle. "We've definitely seen in recent times that accommodation has cooled off, so that's been a godsend for us in trying to promote the region," GAPDL chief executive Glenn Churchill said. With living expenses coming down to come more in line with other Queensland regions and accommodation starting to become available, GAPDL is ready to launch a renewed assault on the tourist dollar. The organisation will be treading the boards at several trade shows this year with a renewed purpose and focus. "I think what we haven't done as a region is promote our diversity nearly well enough, and that's got to be the focus moving forward," Mrs Williams said. 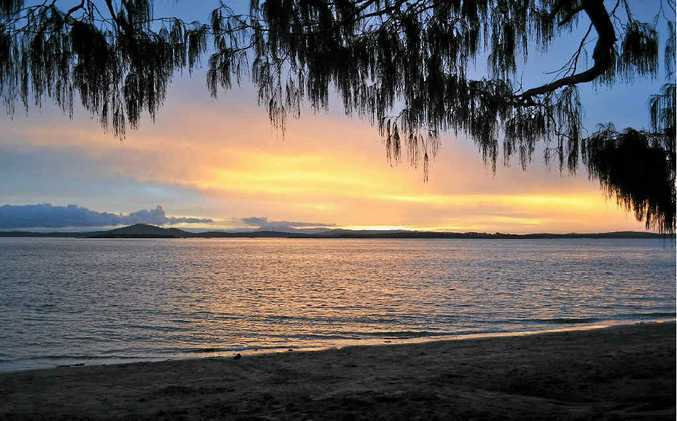 "When people thought about Gladstone, they didn't think about Heron Island, Lady Musgrave Island, Kroombit Tops or other destinations well-known to locals. Mr O'Dowd said: "We have a heck of a lot of diversity in this region …but people don't appreciate the depth of experiences we do have. "We've still got this legacy issue at play where people only think of Gladstone as a dirty industrial town and they don't see the entire region." This means the push for more tourism in the region cannot simply be about upgrading Gladstone. "We need to make sure our marketing isn't Gladstone-centric. Gladstone needs all the villages and all the villages need Gladstone," Mr Churchill said. "It's not about a Gladstone solution. It's about working together to create the greatest benefits." The GAPDL will also continue to try and court the Asian market. "Over the last 12-18 months it's become more evident... it's going to become the growth market in the future over the next 10-15 years of up to 40% from the Asian market," Mrs Williams said. This means finding out what the market wants and giving it to them. "Visitors from Asia aren't terribly flexible with their travel, so we need to encourage more structured experiences to become competitive in that market," Mrs Williams said. "We need to encourage tourism operators in the region to start to look at that sort of package." In its push to attract more tourists to the region, GAPDL is calling for greater co-operation between all facets of the local tourism industry. 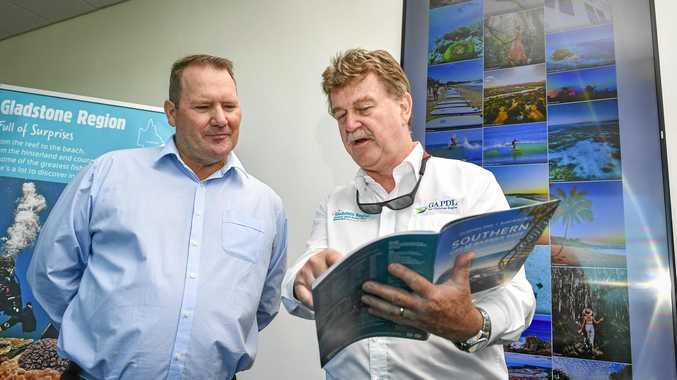 "What we need to do is to get everybody working together, not just for tourism, but to make Gladstone a better place to live and do business," Mr Churchill said. He said every citizen of the region had a role to play in whether or not the region could eventually become more visitor friendly. "In the end, we need 'Gladvocates'. We need the people who live here to tell others how diverse this region actually is," he said. "Word of mouth really is the most effective marketing campaign there is."